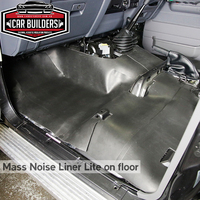 3.6sq/m of Stage 1 Sound Deadener - Install on your floorpan and rear firewall, cover from above your pedals, across the floor pan up the rear firewall to below the rear window. 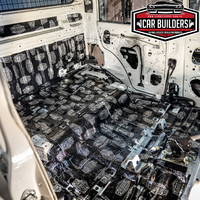 5.4sq/m of Stage 1 Sound Deadener - Install on your floorpan, rear firewall, roof & door skins. 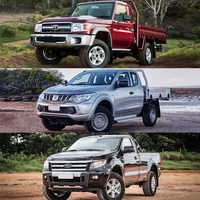 Cover front firewall, down across the floor pan up the rear firewall to below the rear window. 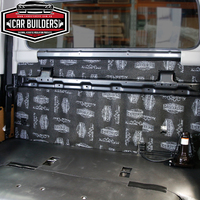 Also enough sheets to cover the roof & door skins. 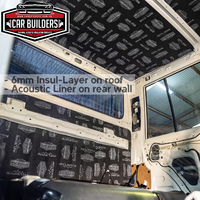 1sq/m Insul-Layer 6mm - Light weight, closed cell, peel and stick foam. 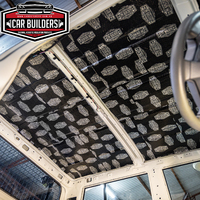 Stick on your roof skin to soften inbound sound and create a thermal barrier protecting you from external heat.